The Boston Celtics will be able to make their best offer in the offseason, though the big question is whether that will include Jayson Tatum. They're the favorites to swing an AD trade, according to our panel, with a few other teams chasing the Los Angeles Lakers behind Boston. Is this KD's last season with the Warriors? Our panel predicts he's headed to New York, despite him pushing back on free-agency rumors following the Kristaps Porzingis trade. "I have nothing to do with the Knicks," Durant said earlier this month. "I don't know who traded Porzingis. They got nothing to do with me." A week before the trade deadline, Irving softened his preseason stance that he plans to re-sign in Boston with comments such as "Ask me July 1" and "I don't owe anybody s---. 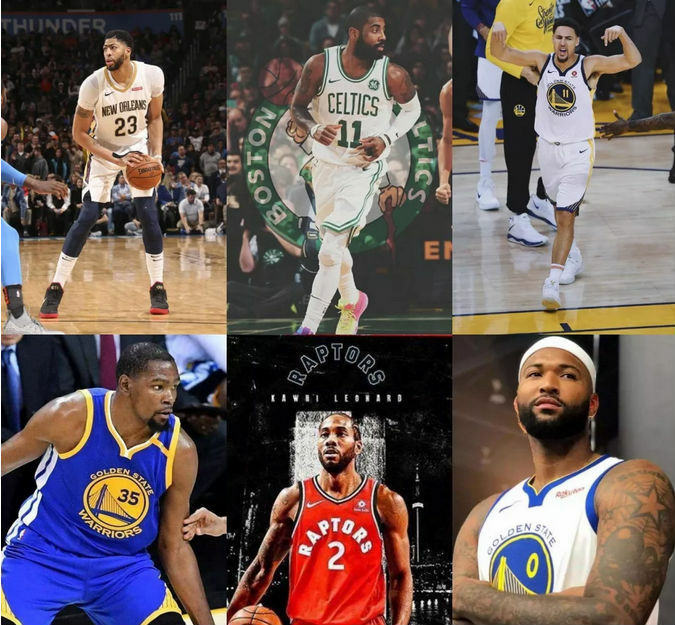 "There are plenty of suitors for Irving in free agency — and Anthony Davis' destination could be a factor here — but our panel predicts he remains in Boston. Our panel doesn't buy that Thompson might walk in free agency, overwhelmingly predicting he re-signs with Golden State.Thompson continues to be open about his desire to return, but ESPN's Adrian Wojnarowski has reported that if Thompson doesn't get a full max offer from the Warriors, he could look at the Lakers. The Clippers have essentially been treating Leonard like a college recruit this season by showing up to plenty of his games, according to a report by ESPN's Brian Windhorst, and Toronto officials have noticed. Our panel predicts this is mostly a two-team race, with the Clippers as the favorites and the Lakers as a distant third behind the Raptors. The Warriors can't offer Cousins more than $6.4 million to return in free agency unless they create cap space (which is extremely unlikely). So who are the favorites to sign the Golden State center?